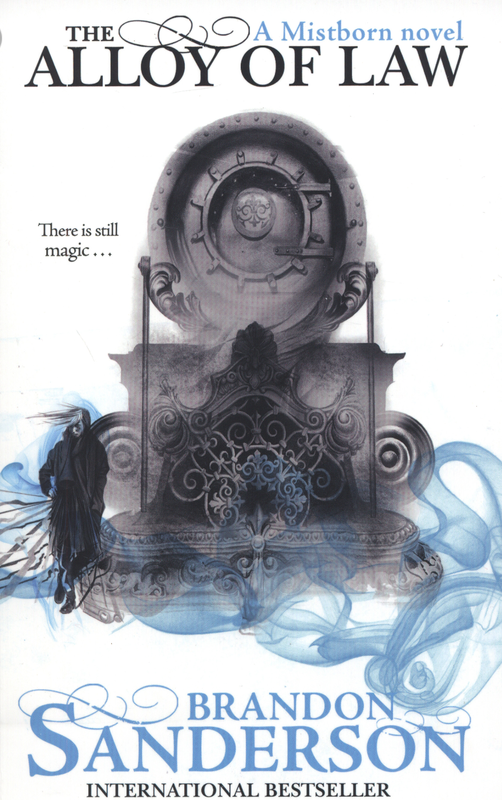 The Alloy of Law by Brandon Sanderson. 300 years after Vin and Elend’s death, the world is a much changed place. Trees are once again green and the ash no longer falls. Mistborn are next to non existent. But mistings, feruchemists and a mix of the two still walk the earth in their former masses, some even still wear mistcloaks.Sazed’s words of Origin are making man’s life easier, hinting of electricity and gunpowder and many a wondrous marvel. The new world has been greatly affected by Elend and Vin, and their adventures. But this story does not directly follow Vin nor Elend or indeed any of their brave companions, but another. A law keeper, living out in the roughs, far from organized society in the middle of nowhere, keeping law and order. Until it all goes wrong… Lessie dead, and no one to blame but himself. He finally answers the calls of his dying house in Elendel, fully expecting not to ever keep the law again. Until he is shown… maybe it’s what he was born to do? Teen Rating: Another incredibly enticing novel by Sanderson. 4/5 13+.